Matte - While Supplies Last! Discounted Prices! 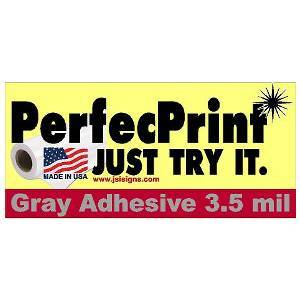 PSA 3.5 mil "Premium" Matte White Vinyl - Grey Permanent Adhesive Grey permanent adhesive. Premium matte white for high impact graphics needing a permanent adhesive.